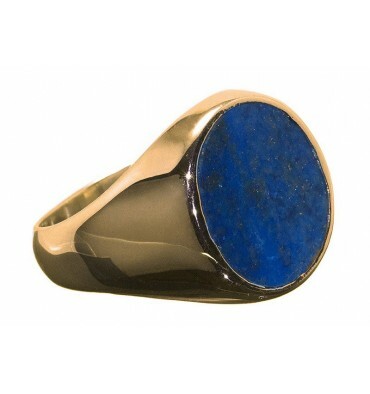 A lovely oval of Lapis mounted to an elegant solid sterling silver chassis creates this beautiful stone ring. 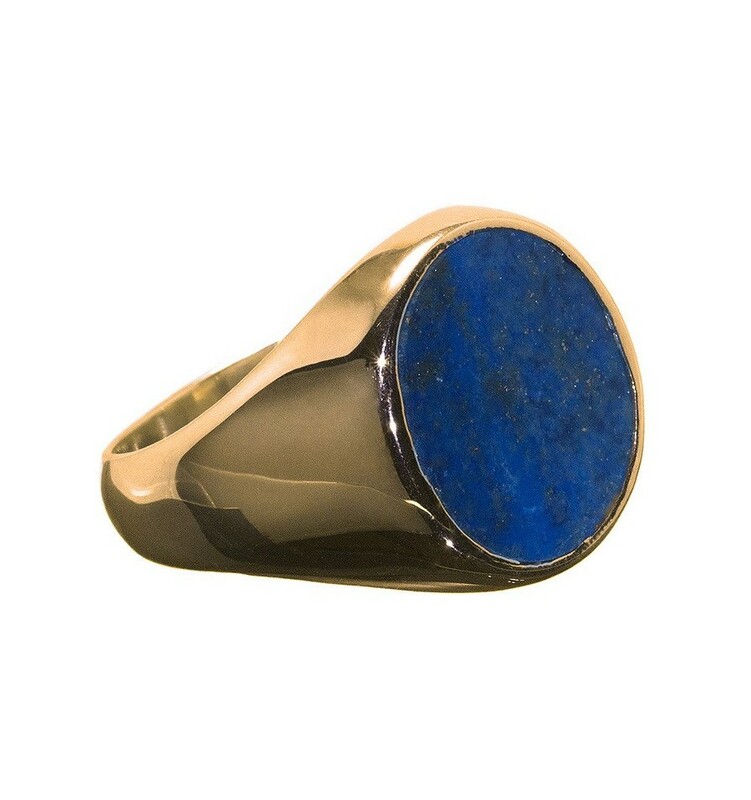 An oval of top quality Lapis Lazuli has been set in a solid gold plated sterling silver chassis to create a beautiful stone ring. 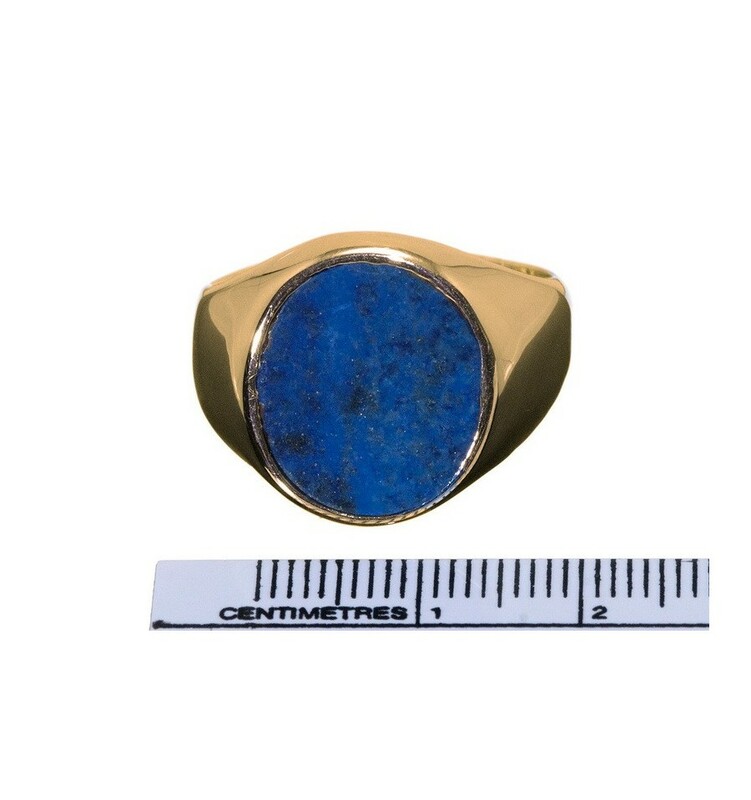 This is an impressive and unique ring. 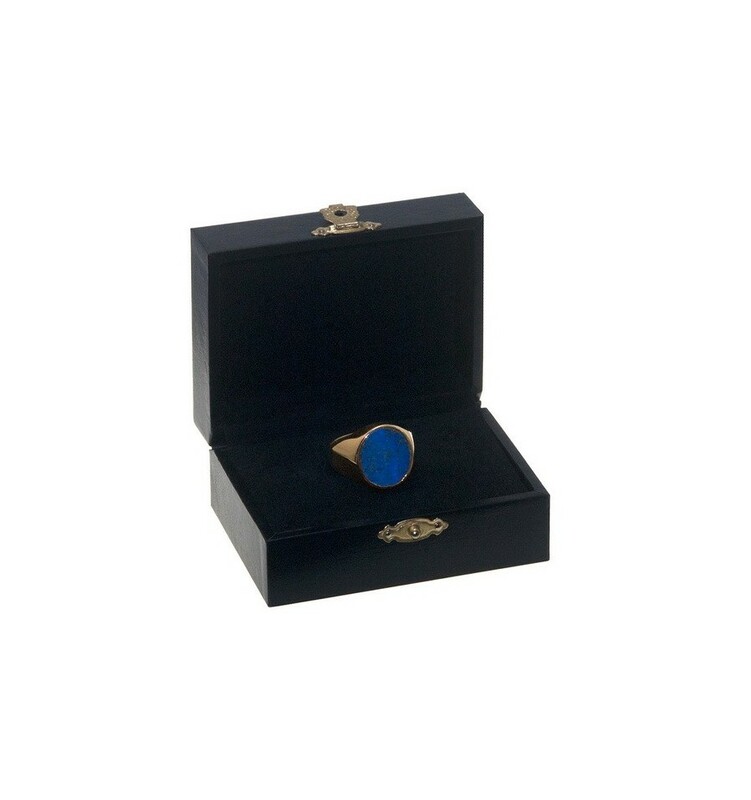 At this smaller Regnas size it is popular with ladies as well as gentlemen.